The Integral Living Room - Come On In! From 2013 to 2017, the three of us – Diane Hamilton, Jeff Salzman and Terry Patten – had the privilege to host six remarkable Integral Living Room events that gathered integral practitioners from all over the world. We asked ourselves, “What calls us next? What do we most want to offer the integral community that has become so precious to us? What would most make our hearts sing?” And we realized what we most wanted to do is to re-create the best spirit of these events – the special “we-space” of committed evolutionaries, but “Reloaded” for 2013 and beyond. We wanted to do it at an intimate, human scale, affordable, and alive. Thus The Integral Living Room, a gathering we not only want to lead, but attend and enjoy ourselves. A chance to hang out with our friends, old and new. Each was organized around a distinct theme, and each was unique – special and precious in its own way. 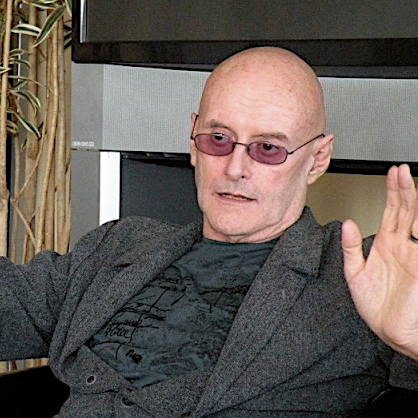 During the time leading up to each of these events we gathered virtually with Ken Wilber to consider these ideas, and then held a series of public community calls. At the events themselves we gathered in person to create integral intersubjective we-space, to practice, engage experiential transformational processes, and have “the best conversations of our lives”. Ken appeared in person at each of the events. Although these gatherings were a great success, after 6 events over five years, some important changes led us to decide to discontinue the Integral Living Room — at least for the time being. The Integral Center in Boulder would no longer available to us for the events. And our work has gone in different directions. Jeff’s Daily Evolver has taken off. Terry is focusing on catalyzing an integration of awakening with social transformation ever since his book, A New Republic of the Heart came out. And Diane’s Integral facilitation work and her new Zendo in Southern Utah has become a major focus of her practice. Ken continues to write and think and lead, but his health challenges continue to make his life something of an ordeal. For the time being, we’re going to relax. We are not planning additional events, at least for now. We reserve the right to change our minds and reach out to you all sometime in the future. But no guarantees. We’ve decided though, to memorialize the Integral Living Room by keeping our public conversations available on this website. We’ve reorganized it, so you can more easily access the recordings of our community conversations and blog posts. They are now all visible, in order, in relation to each distinct event. In the meantime, we hope that you take your Integral understanding into your own lives, work, and relationships, and continue to evolve this bloom of consciousness. We (Jeff, Diane and Terry) have loved working together; our friendships with each other are as strong, if not stronger than ever, as is our connection with and affection for you. We look forward to what’s next! There was an amazing immediate safety in the space and a freedom to show up as who I am, not who I make myself up to be. With that layer of my ego set aside, I found myself participating, experiencing and learning much more deeply than I have in any of the conferences I have previously attended. Just spending time with Diane, Jeff and Terry is delightful, but to be in practice with seventy-five beautiful souls with shared desires to continue the evolution of Love and Consciousness is a gift beyond measure. The Integral Living Room is an opportunity to meet your family members from all over the world. It’s beautifully facilitated with plenty of time for open conversation. I left there feeling loved and held and supported, and educated in practical ways. I think the Living Room setting is very important for the growth of Integral. I am really glad that Ken could be there. Get yourself to the Integral Living Room in October! They keep getting better! Here is where Integral is growing Big Heart as well as Big Mind and every one of us matters! Thank you for the curiosity, inquiry and vulnerability. This gathering will restore your hope in the future. A great experience, especially the interpersonal moments of Integral we-space. This has already helped me in my interactions with my patients. How Loving! What Community! How Healing and Refreshing! How Unique! I appreciated the chance to actively, personally, effectively dialogue about how to expand integral throughout the culture and embody integral more fully in ourselves in the world, the discussion on how to apply integral to the crises present and ongoing on this planet, and the chance to celebrate and share the mystery, delight, love, challenges, terror, relationship, and exquisite beauty of this existence! This particular embodiment of the Integral We was the very best integral gathering I have attended, in large part because it was small enough to allow for deep exchange on many levels, with an amazing diversity of personalities, backgrounds, and skills to share. The Integral Center is a beautiful, functional, diverse, and intimate physical space to dwell in for a few days, (place matters!). The Presence, in an intimate setting, of Ken Wilber, which allowed for experiencing his heart and compassion and bodhisattva field and the opportunity of a few minutes of direct dialogue with him also made this Integral event unique and I hope will be a feature each time. It is a much fuller, deeper and altogether different experience being with Ken than simply reading his works or hearing a recording or video. It is the first integral event I’ve attended that offers the chance to network in a meaningful way, which I trust will be invaluable in my work in chosen fields ongoing. All of this and more makes this the one integral gathering I intend to make each year. This was my second Integral Living Room and I’m going back for more next October! I love these evolved people, many traveling here from all over the globe. They are lifelong learners like me, drawn to a weekend filled with passion, connection, and deep friendship… and all of it embedded in evolutionary and integral principles. I appreciated the opportunity to bring the AQAL map alive in person. Navigating the 1st, 2nd and 3rd person terrain in a supportive container was fantastic. The Integral Living Room was a creative cauldron of evolutionary potentiality. Theory came to life as the AQAL model was lit up and made real experientially…and we were it! Highly recommended! We’re thrilled to announce that Integral pandit extraordinaire Ken Wilber will be joining us in the Integral Living Room! If, like most of us, you have been inspired by Ken’s brilliant insights and writing, you will love the chance to hang out with him in this informal setting. Ken is a delight in person, and will share his latest thinking (including his up-to-the-minute writing on Volume II of the Kosmos Trilogy), answer questions, and schmooze on any topic the group is engaging. It’s a rare chance to get up close and personal with the man who has sparked the modern integral movement and is still its leading light. 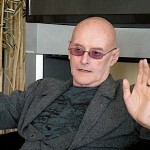 Ken Wilber is the most widely translated academic writer in America, with 25 books, translated into some 30 foreign languages, including the recent Integral Spirituality. Ken is an internationally acknowledged leader and the preeminent scholar of the Integral stage of human development. 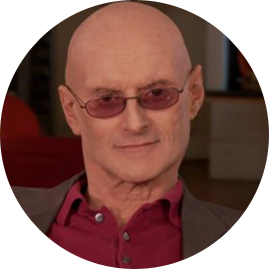 He is the founder of Integral Institute, Inc. and the co-founder of Integral Life, Inc.
Ken Wilber is one of the greatest philosophers of this century and arguably the greatest theoretical psychologist of all time. —Roger Walsh, M.D., Ph.D.
Diane Musho Hamilton Sensei is a gifted professional mediator, facilitator, and teacher of Zen and Integral Spirituality. 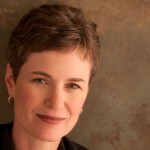 She has been a practitioner of meditation for more than 25 years. Diane facilitates Big Mind Big Heart, a process developed by Genpo Merzel Roshi to help elicit the insights of Zen in Western audiences. 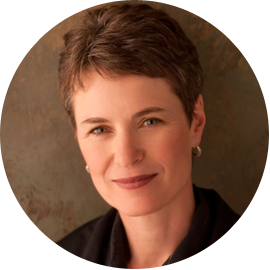 She has worked with Ken Wilber and the Integral Institute in Denver, Colorado, since 2004. She is also the co-founder of Two Arrows Zen, a center for Integral and Zen practice in Salt Lake City, Utah with her husband Michael Mugaku Zimmerman. 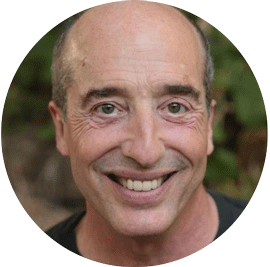 Terry Patten has worked with Ken Wilber and I-I since 2004, and was the senior writer and co-author of the book Integral Life Practice. He created the acclaimed 8-session online course, Integral Spiritual Practice. 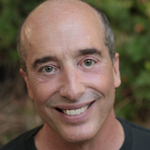 He writes and coaches, and also speaks and teaches internationally, and he hosts the acclaimed online teleseminar series Beyond Awakening: The Future of Spiritual Practice. 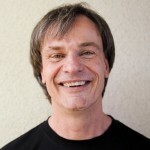 Jeff Salzman has worked in adult education and transformation for thirty years. 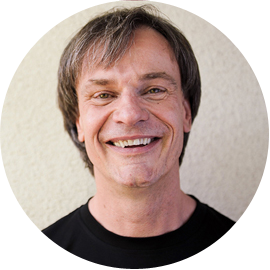 For three years Jeff worked side by side with Ken Wilber developing the Integral Institute, an international center for integral theory and application. Jeff spent the last few years as co-founder and a lead teacher at Boulder Integral (now The Integral Center). These days he travels, teaches and comments about current events on Integral Life and on his blog, The Daily Evolver. And therefore, all of those for whom authentic transformation has deeply unseated their souls must, I believe, wrestle with the profound moral obligation to shout from the heart—perhaps quietly and gently, with tears of reluctance; perhaps with fierce fire and angry wisdom; perhaps with slow and careful analysis; perhaps by unshakable public example—but authenticity always and absolutely carries a demand and duty: you must speak out, to the best of your ability, and shake the spiritual tree, and shine your headlights into the eyes of the complacent. You must let that radical realization rumble through your veins and rattle those around you. Privacy VS Transparency — Diane, Terry & Jeff Blow Their Cover! There’s Nothing Above My Shoulders But Cosmic Wonder! Is a New God Emerging? The Integral Living Room © 2013-2018. All Rights Reserved.